Q. 1 Why do you think diversity is important in the games industry? Diversity in the games industry isn't just ticking boxes to look good on reports. Its filling our teams with inspiration from different backgrounds, different cultures, different perspectives. The more diversity we have in our industry the more we’ll have in our games. Games are played all over the world by all kinds of people, why anyone would want to build a team that caters to only a narrow selection of that audience is beyond me. Games are for everyone, and anyone should have the opportunity to make them. Q. 2 What inspired you as a woman to get into making games? Playing games inspired me to get into gaming. I’ve always been an avid gamer and the games of 1996-2000 had a profound influence on me. At this time I was doing my GCSEs, picking my A-Levels and aiming for a Degree, my love of games inspired the choices I made. Taking an art foundation and A-Level maths to get a place on a 3D Computer Animation and Visualisation course with the desire to then become a game artist/animator. I’ve tried to pin the inspiration down to just one game but there are so many that inspired me: Wipeout, NiGHTS, Tomb Raider, Final Fantasy, Soul Reaver, PaRapper, Vagrant Story, Metal Gear, Silent Hill, Tekken, Guardian Heroes, DDR, Point Blank, Driver, Tony Hawks - the list goes on! If I had to pick the moment it all came together it might have been when I completed Final Fantasy VII, I remember feeling a great many emotions and an overwhelming need to be in this industry. Q. 3 How do you think we can encourage young women to join the games industry? I think a huge problem is that we lose women while they are still girls, and honestly I feel we need more things along the lines of Game Developer Barbie. We need more female role models in the games industry, more visible women, to normalise the fact that actually yeah; women make games! We still encourage boys at school more than girls to pursue science, maths and engineering, our girls deserve better. Q. 4 What's the best advice you've been given as a woman in games? Never give a salary expectation. When you’re interviewing for a role and asked what your salary expectations are, flip the question back and ask what they are offering for the role. I think this is just good advice for anyone interviewing for a new role, but particularly for women in games where the disparity between the salaries of male and female employees is still a problem. Q. 5 What advice would you give to a young woman starting out as a game developer today? Find your tribe! There are so many more female identifying developers in the industry today than there was even 5 years ago and I strongly recommend surrounding yourself with as many of them as you can find. Be that online or at girl gaming meet-ups and events, finding a group of other ludic ladies is essential, especially if you find your one of only a handful of other female devs where you work. 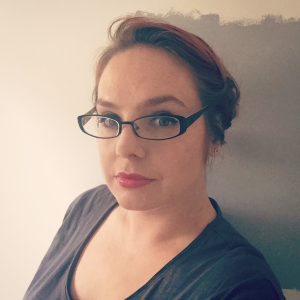 Leanne Bayley is co founder of award winning micro indie games studio, We Heart Dragons and a member of the Develop:Brighton Advisory Board.